More than just buying your products, the best customers influence their peers. Here’s how to send those influencers into stardom–and send yourself into major profits. Consider Catie, a potential rockstar for your firm. She runs a small business, placing her in the small and medium business market, which presents significant opportunities for growth for your firm. Catie is not a particularly big revenue customer as far as your business model goes–she spends about $6,000 per year, and generates $2,400 in profit. But she’s a potential gold mine nonetheless. To begin with, she’s loyal, easy to service, not price sensitive, and, as a result, is solidly profitable–unlike many of your higher-revenue but short-term or difficult-to-work-with customers. Much more significant, however, is her tremendous hidden wealth. She has a great story to tell about the value your firm provides to her business, typical of what you could be doing for many other businesses in this important market. She participates in your online customer community and in other networks attractive to your business. She keeps a blog, has active LinkedIn and Facebook pages along with a Twitter account, and frequently blogs, tweets, or comments on developments in her industry as well as profession. A straightforward analysis of her social media presence shows that she’s an influencer with attractive ties to excellent prospects for your firm’s products and services–many of whom you and your salespeople would love to connect with. Despite all this, your firm, like many firms, doesn’t engage with Catie to help market and sell your offerings. The truth is, you’re not even aware of her and many others like her. Despite saying quite plainly in surveys that she’d be highly likely to recommend you, that information never makes it from your customer intelligence group to the right sales and marketing people, so Catie is never asked to provide a reference to help further or close a deal. Neither has she provided any referrals to your firm–primarily because no one has asked her to do so. As you would discover if only your sales and marketing people were building a relationship with her, she’s quite ambitious and eager to promote her own stature in her profession, and she wants to extend her growing network of peer and industry relationships. She’s interested in overcoming her stage fright and speaking at industry events. She’d be wide open to collaborating on case studies, videos, white papers, interviews with the media, and whatever else could help her grow her network and build her reputation. She would love to tell her peers and customers the great things your firm and she are doing together–because that makes her look good too–if someone would just ask her to do it. In short, Catie is a rock star–the sort of customer who powers the growth of firms such as Salesforce.com, Amazon.com, Hitachi Data Systems, Facebook, and others. She can drive organic growth that “sticks” and bring in new customers who benefit immensely from the value you provide. Your firm could be engaging with her to build a remarkable new exchange of exceptional value, in which you work with her to make her an increasingly powerful evangelist for your firm while helping her build her network, her reputation, and her business. Firms that miss this opportunity–or undermine it by offering poorly disguised bribes to get their customers to advocate for them–are leaving a lot of value, a lot of profits, on the table. Instead of assuming Catie will engage in promoting your firm, you implement a system that maximizes the value customers like her can create. Let’s see what that results in from the customer’s experience and point of view. You may, for example, designate a group–such as a customer reference program–to intentionally reach out and begin building a relationship with Catie and other customers like her. As your team gets to know more about her, ideally in ways that include old-fashioned human-to-human conversations, you learn about her personal and business aspirations and you begin working with her to create a vibrant, reciprocal exchange of value. When you discover that Catie also hopes to expand her entrepreneurial presence in several businesses across her industry that are also relevant to you, you’ve identified Catie as a potential rock star customer. In return, Catie reveals that she’s quite open to playing an advocacy role for you, based on her personal and professional goals. This is not about crass rewards or bribes to encourage an ambivalent customer to say great things about you. It’s about working with customers who are passionate about the value you provide. Catie’s involvement in the activities described above are easily captured in your customer relationship management (CRM) system, particularly when you have staff dedicated to uncovering and nurturing such advocacy and influencer relationships with customers like Catie. But remember, the second important piece is to make sure Catie is attracting the right customers to your firm–those who generate significant profits. It’s critical to look not just at the revenue such customers contribute, but also at their profitability to your firm. As discussed earlier, a rapidly growing software firm may think it’s generating tremendous profits that turn out to be dangerously illusory. Or you may have a few large, high-revenue customers whose demands for price concessions, additional services, or high inventory levels may squeeze margins down to the vanishing point. So you want to make sure Catie is bringing in customers that are not just generating robust revenues but also robust profit margins. • Recognize that relatively few of your customers–even your most loyal customers–are generating referrals, leads, brand awareness, or other hidden wealth for your firm. You’ll need a system, including staffing and measurement, to tap into that wealth. • Staff your hidden-wealth initiatives with people skilled at building high-mutual-value relationships with customers–as opposed to people focused on getting the reference, referral, or lead from your potential advocates, influencers, and contributors. • Keep key data in your CRM system for your customers’ hidden-wealth activities–including leads and referrals generated, partial credit scores, revenue and profit margins contributed from new customers generated, and return on relationship. • Just as it’s critical to know how profitable your customers are in regard to their purchases, so too it’s critical to know how much profitable business your customer advocates and influencers are generating. Reprinted by permission of Harvard Business Review Press. 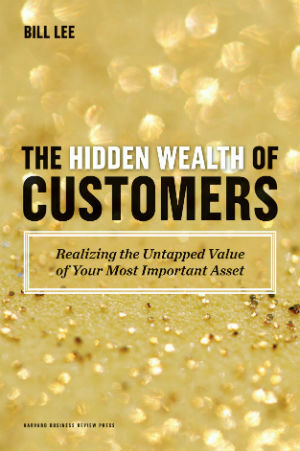 Adapted from The Hidden Wealth of Customers: Realizing the Untapped Value of Your Most Important Asset. 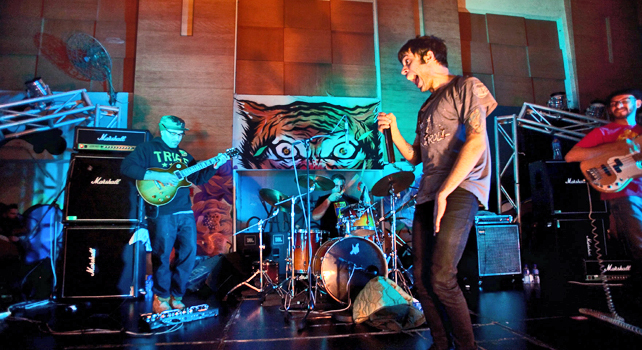 Copyright 2012 Bill Lee.